All that it takes to become a national champion is a good bowling ball that fits your hand correctly and a lot of practice. At least, that’s all it took for International Bowling Hall of Fame inductee, John Handegard. Born in 1938, John grew up in Oregon before moving to Houston, TX. He worked in plywood mills across the western part of the United States, where he was paid based off of how much plywood he produced. To an outsider, John looked like your average working man; however, he was anything but average – he was a bowling champion in the making. At the age of 15, John began bowling socially. He enjoyed the opportunity to spend time with friends but was by no means good at bowling. Bowling didn’t sit on the sidelines in John’s life for long. Soon, he became competitive, and with hours of practice every week, he began to see his bowling career skyrocket. John started to travel frequently for tournaments, even sacrificing his job at one point. “The plywood mills don’t like people taking off to bowl, I guess,” John joked. Still, his passion for bowling only continued to grow. Throughout his career as a professional bowler, he’s bowled more than 70 perfect games, a feat most can hardly imagine. At age 57, he set the record for the oldest player to win a national tournament. 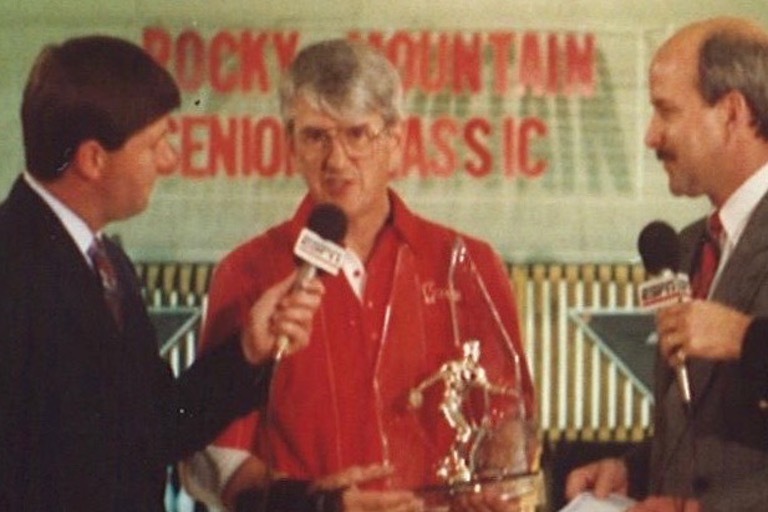 He’s even claimed the title of “senior bowler of the year,” and earned the nickname, “The Gambler,” as John often risked his own money to enter tournaments. To this day, he still bowls, although he wouldn’t say he still has the same skill set as when he was inducted into the International Bowling Hall of Fame. “I’ve had a few strokes, so that’s taken a toll on my bowling skills,” said John. John suffered six strokes in the last 10 years before joining the community at Cascade Park in Woodburn, Oregon. However, he never lets his physical shape stop him from doing what he loves. John still continues to bowl regularly and encourages other residents at the facility to join him on outings. He even holds on to about a dozen of his old bowling balls at the facility.